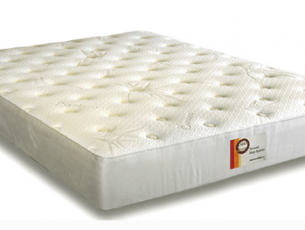 Haiku Designs introduces the Sweet Dreams All Natural Latex Comfort Mattress. 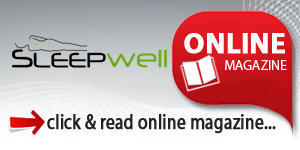 Boulder, CO. -(PR.com)– Is it possible to give your life meaning while sleeping? Since most of us sleep a third of the time, the answer must be “Yes.” Haiku Designs is proud to provide this affirmative answer by letting you know that they offer 100%, natural latex mattresses, made from the sap of the Asian Have a rubber-tree. Natural Have milk is the Sap from the Asian rubber trip, which is, gathered much in the same manner as maple syrup. Once gathered this have milk is then condensed into all natural foam with superior quality over petrochemical foams. This natural latex foam is placed inside and Organic cotton cover with an inner wool sock. This all-natural product meets federal flammability requirements without the use of chemical flame-retardants, because wool is a natural flame suppressant. 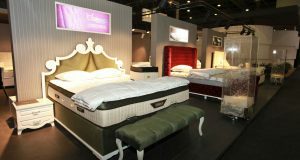 In addition, 100% organic latex is naturally dust mite resistant, anti-microbial meaning that the mattress can help cut down on allergies and asthmatic conditions as molds, bed bugs, and dust mites are attracted to synthetic foams due to their open cell structure. 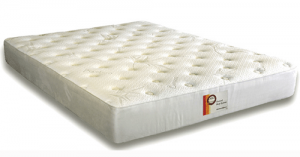 The Natural Latex Foam used in the Sweet Dreams mattress will provide many years of trouble free enjoyment, as latex foam is extremely durable and long lasting. The real benefit of all of these features is that it is now possible to enjoy a chemical free, comfortable sleep, which provides maximum comfort and maximum orthopedic support. The Haiku Designs Sweet Dream Latex Mattress provides superior health benefits while at the same time offering excellent orthopedic support. 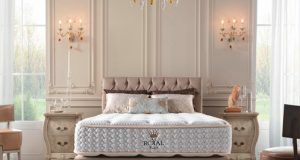 Available in all Standard sizes, full, twin, queen, king and California King, consider an all natural mattress without all the compromising synthetic chemicals, for your next mattress. 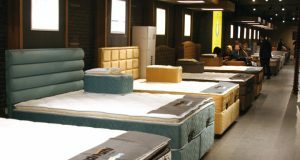 Consider an all-natural sleep alternative latex mattress for a healthier alternative.